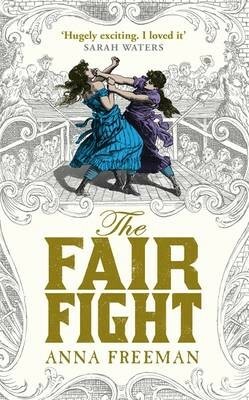 BleachHouseLibrary.ie: The Fair Fight by Anna Freeman - Guest Review from Diarmaid McCaffrey. The Fair Fight by Anna Freeman - Guest Review from Diarmaid McCaffrey. Perhaps, more than any other genre of book novel based around historical settings is probably one of the most grueling types of fiction books any author worth can write with an audience that’s notoriously unforgiving when it comes to anything that might take them out of the novel. Inconsistencies are the death knell for any immersive experience and that’s goes double for a novel that attempts to zero in on a certain pocket of history not to mention several different seemingly small factors having the potential to anchor and take the reader out of the book entirely. Tone, the use of past tense, relevant terminology and language fitting the time period, are all spinning plates that could topple over at any moment if not handled well. So if nothing else, The Fair Fight deserves to be singled out for the clear amount of research and attention to detail woven in the narration. Freeman's skill is clear with each page , however, as both are drawn with such depth that one has no trouble believing in their motivations, The action sequences, most of which take place during boxing matches, are rich with detail, but are far from the focus. They’re more like devices used to segway towards each new section of the book. Over all, The Fair Fight is a well packed hyper authentic look through a certain period of history. That’s sure to make any plane ride or train journey fly by, and anyone that’s a fan of historical fiction, warts and all will certainly enjoy this hidden gem. The story itself is certainly outside of the norm that you’re used to seeing from the genre, and thanks to that it has a quirky little charm that breaths life into its characters.